Deerfield Beach, FL. April 1, 2013. Guillermo Guzman's recent visit to Bagliga and neighboring villages in Northern Ghana reinforced his desire to do more. 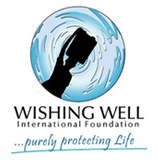 Upon his return to the US, the Founder and CEO of Wishing Well International Foundation (WWIF) contacted Jim Bodenner, Safe Water Team (SWT) Executive Director, to discuss future collaboration between the two organizations in Ghana and other countries where SWT oversees distribution centers, including Kenya, Haiti, Dominican Republic and Honduras. Dear friends,The recent trip to Ghana was an amazing experience, one I will never forget. It reinforced the need for us to do more and made me realize how unbelievably lucky we are to be able to help the way we do, unconditionally and without any expectations other than the satisfaction we get from helping others in need. WWIF Founder Travels to Ghana Meeting with members of Safe Water Ghana will help to expand the Foundation's humanitarian efforts in the region. Deerfield Beach, FL – January 31, 2013. Guillermo Guzman, Founder of Wishing Well International Foundation (WWIF), is on his way to meet with members of the Safe Water Ghana (SWG) team to witness and assist with the deployment of filters to 50 more families in the village of Bagliga in northern Ghana. This latest deployment completes the project initiated by the students at St. Paul Lutheran School in Boca Raton, Florida. Thank you St. Paul! I am proud to inform you that a group of members of the Pacific Water Quality Association (PWQA) has decided to support the Foundation during their 2012 Fishing Fools Fishing tournament. The tournament is held yearly after the PWQA annual convention as a way for long-time members to bond and exchange fishing stories, as well as to discuss business opportunities. We are committed to completing the two most recent projects, San Jose de Ulloa, Dominican Republic and Bagliga, Ghana and we need your help. With the completion of the first phase of the projects, WWIF has started a new campaign to raise additional funds to complete these two projects before the end of the year. A total of 1,200 to 1,500 people will be positively impacted by our efforts. Deerfield Beach, Florida – July 1, 2012. Guillermo Guzman, Founder of Wishing Well International Foundation, had a chance to spend time with management of the Good Samaritan Hospital, the nonprofit organization in charge of the Hydraid Biosand filters distribution center in the Dominican Republic. Guzman, who was visiting the Batey of San Jose Ulloa in late June, was able to visit with residents who had nothing but praise for the hospital and the individuals running the distribution center. Deerfield Beach, Florida – July 15, 2012. After a long process of form submittals and backup documentation to the Internal Revenue Service (IRS), Wishing Well International Foundation (WWIF) received notice of approval as a 501(c)(3) non-profit organization, retroactive to September 2010. The long and arduous approval process has allowed the Foundation to achieve yet another milestone! Under Section 170, of USC Title 26: Internal Revenue Code, the organization is exempt from income tax and contributions to the organization are tax exempt.